Lillian Too is really into spiritual feng shui this year with her feng shui cures that come with mantras. She swears by all her feng shui products, claiming that they were properly researched and designed. During her Feng Shui Extravaganza that was held on January 1st, 2012 in KL, she told us how her amulets and feng shui cures protected a couple from the devastating tsunami in Japan last March. According to her, during the tsunami, the sea swept away everything around the Japanese couple's home, but incredibly left their home untouched. I bought a few of her feng shui products too. One of them is the Arenshui Wu Lou. 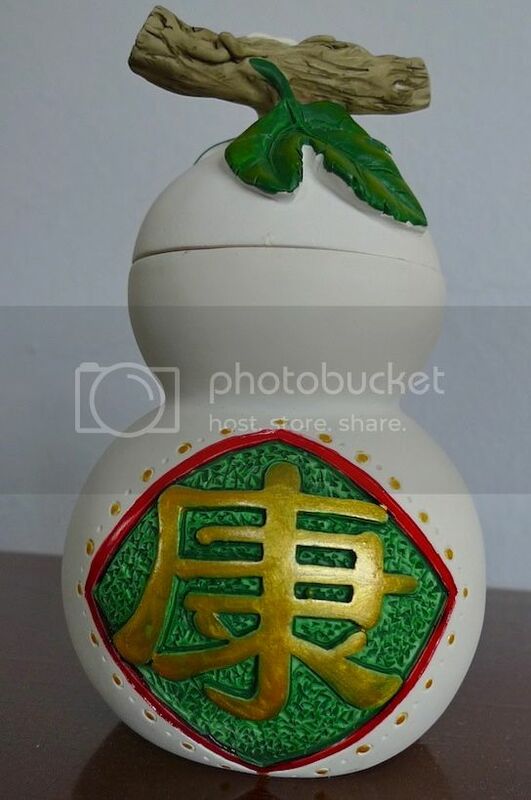 Made of porcelain with wood symbol, it is a taoist remedy against the Illness Star that will fly into the North sector of all houses this year. 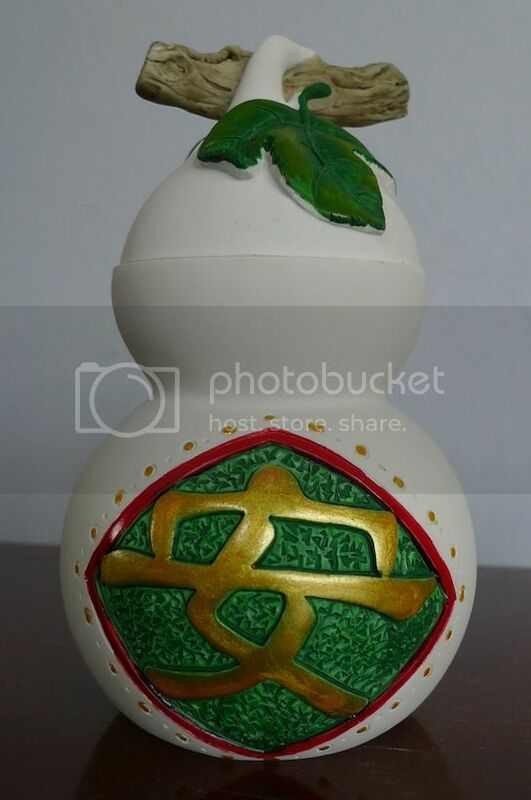 Do you know how to read the Chinese character on both sides of this wu lou? 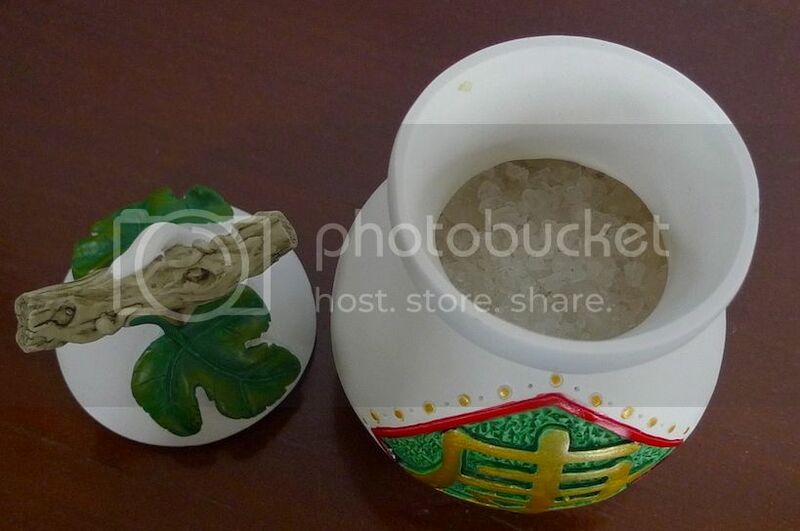 Before you place this wu lou in the North sector of your home, you need to put in rock or sea salt and some metal coins inside. The salt is supposed to absorb the bad qi that comes with the Illness Star. By the way, the salt and the coins (Chinese coins with square holes in the middle) are provided together with this wu lou. Some people may think that placing objects like the one above will not cure the affliction. Lillian herself could not provide a satisfactory answer as to how such a remedy will work, but insisted that they do somehow work. But she said that you must have a positive mind and be confident about the feng shui cures that you place in your homes. In other words, the secret may lie in the power of the mind, in which doctors and scientists have yet to really understand. Lillian Too also seems to be a big fan of Steve Jobs and Apple. She praised his invention of the iPhone and iPad, which of course helped made her online feng shui courses available to more people worldwide. 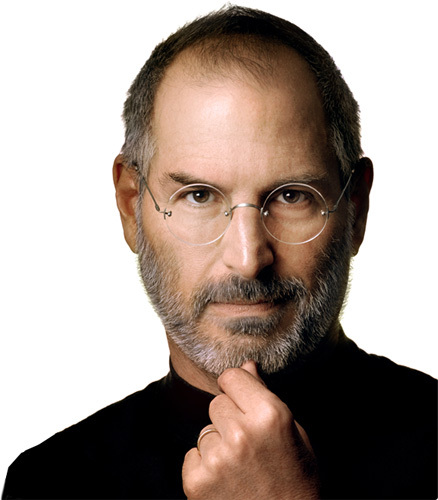 Since Steve was clever and rich, Lillian suggested that we print out his photo (like the one above), frame it and hang it on the West sector of the house! Why in the West? Because that's the wealth sector for 2012! 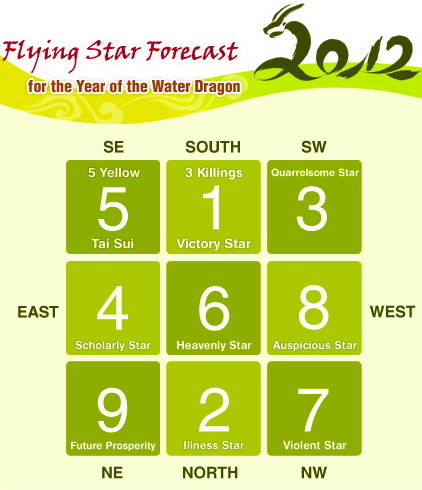 Take a look at the Flying Star Chart for 2012 (which I have shown in Part 2). Can you see number 8 in the West? 8 is a Wealth star and if you wish to attract wealth, you will do well by activating this sector. Now if you were to superimpose this Flying Star Chart onto the World Map, you will see that the number 8 resides in USA this year. What does this mean? It simply means that although USA had been suffering from financial problems last year, it would not get worse this year, and in fact may actually get better. According to Lillian's analysis, economic recovery will start in the USA with the stock market starting to rise in March. She mentioned something about the rise of the Phoenix (is this related to the presence of Rooster in the Bazi Chart?) which could be interpreted as the Eagle symbol of the USA. Looks like US' economy will be making a turnaround! China had better not try to fight USA this year! Of course, what she predicted runs against what most financial analysts had forecasted. So whom do you trust more - the financial analysts or Lillian Too? Or to be more exact, do you trust the modern day financial analysts or the ancient Chinese metaphysics? I will go with the Chinese metaphysics anytime! So let us see how it turns out, shall we? Now let's look at the Flying Star Chart above again. The dreaded No. 5 Star (known as 5 Yellow) is at the SouthEast sector. If USA is in the West, which part of the world is in the SouthEast? Why, SouthEast Asia of course! And if you read my previous post, you will know that this area is also afflicted by The Grand Duke - a double whammy! Lillian did not mention what bad things will befall SouthEast Asian countries and which country will be greatly afflicted, but I believe there would be natural disasters like earthquake, flooding and volcano eruptions. Since Malaysia is free from volcano eruptions and earthquake, perhaps we will suffer from flooding and landslides? For those who aim to achieve success in career or politics, Lillian recommended her Victory Warrior Flag. Notice the Victory Star No 1 in the South sector of the Flying Star Chart above? Display this flag in the South sector of your home to ensure that you beat your competitor this year. Lillian joked that Barisan Nasional should invest in this flag if they want to win the election! During Lillian Too's Extravaganza in KL, I saw many people taking pictures of this banner. Why were they doing that? 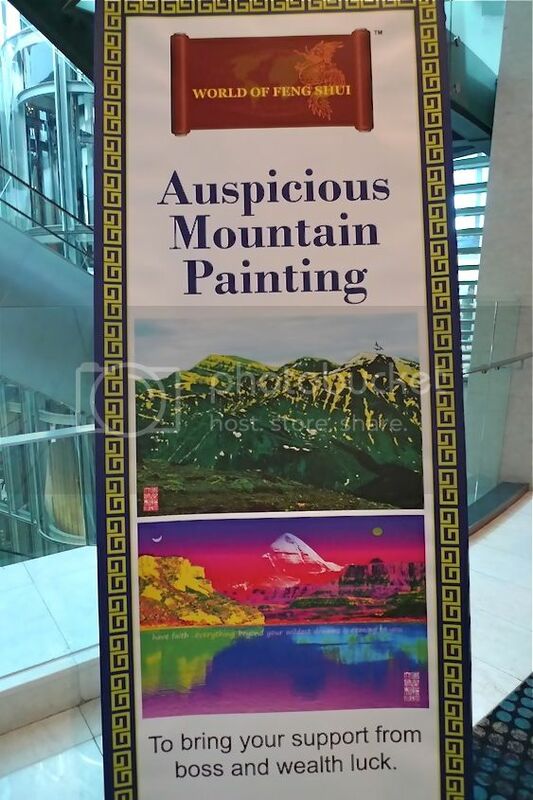 This is a banner showing auspicious mountain paintings that were being sold by Lillian Too's World Of Feng Shui. 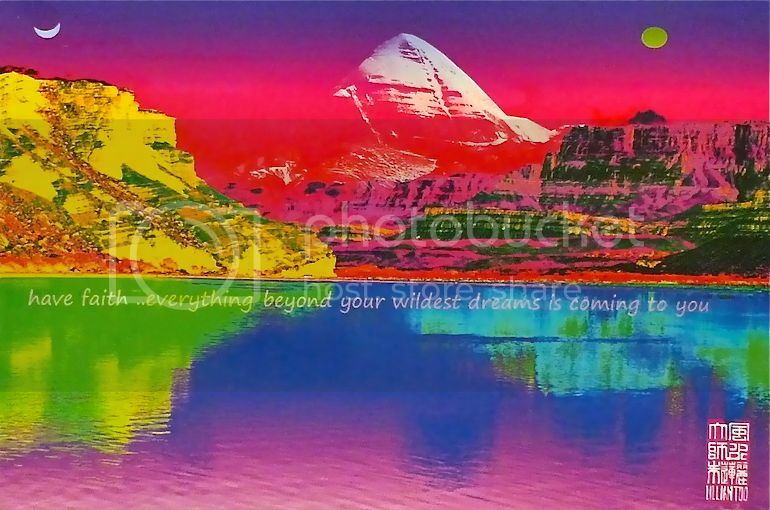 You can display these paintings on the wall behind you to bring you good support from boss, career success and wealth. 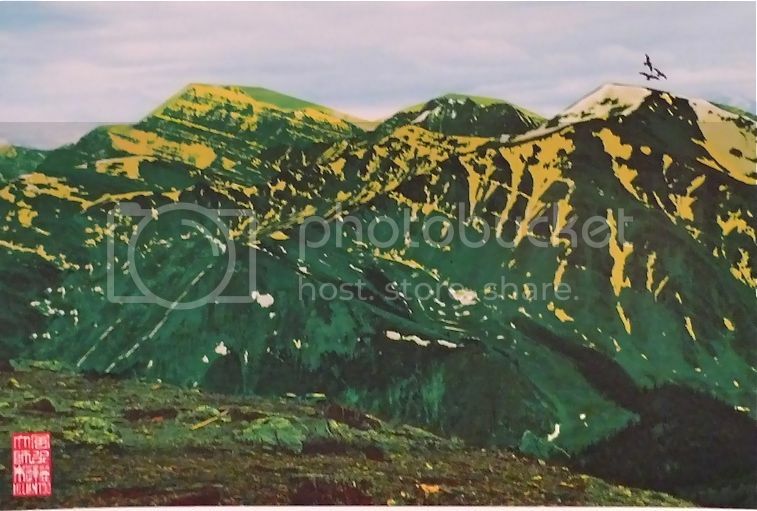 But I guess instead of buying the paintings, many people that day just took photos of these paintings, went back and printed them out and displayed them in their homes or offices? Well, that sure saved them a lot of money but I am not too sure if it will work. No harm trying right?